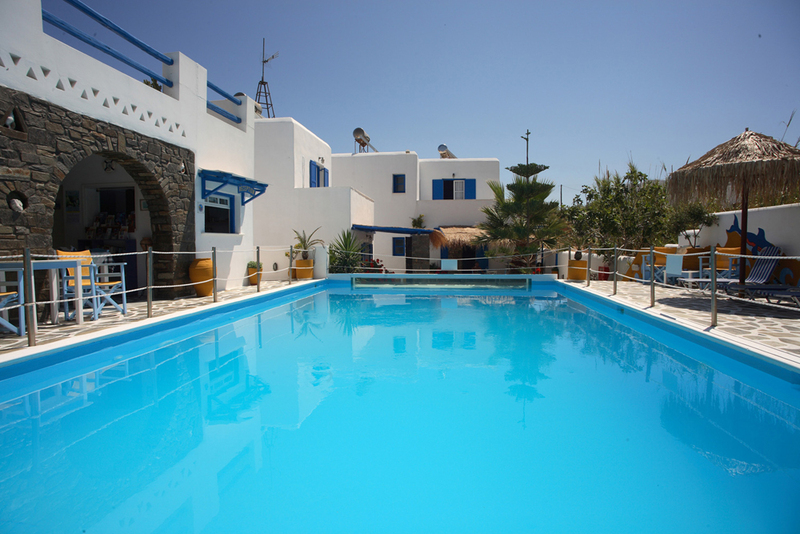 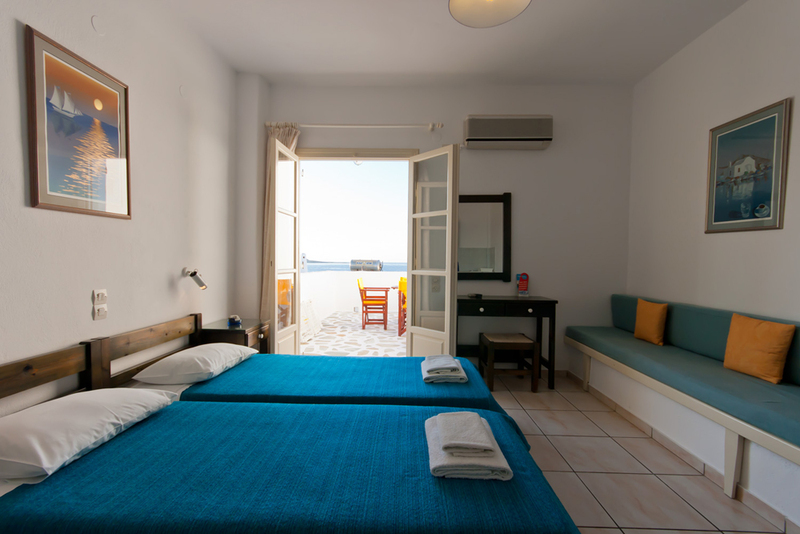 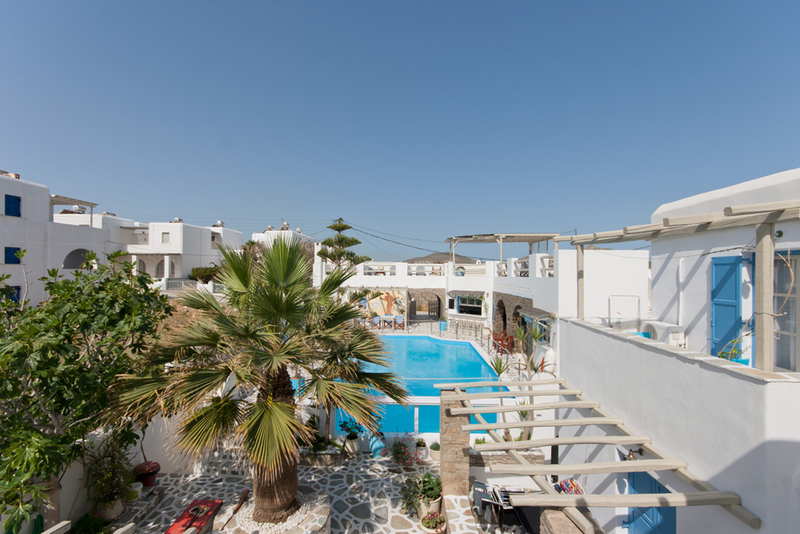 Captain Dounas Apartments and Studios are located in the village of Naoussa, well known for it is picturesque fishermen harbor and ouzeri and beautiful beaches (such as Kolimbithres, Santa Maria, Lageri, etc. 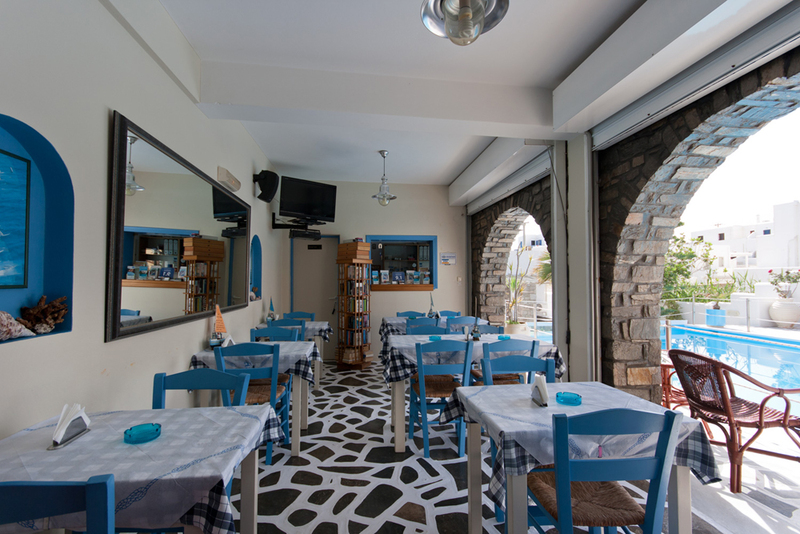 ), the exciting nightlife and the traditional color. 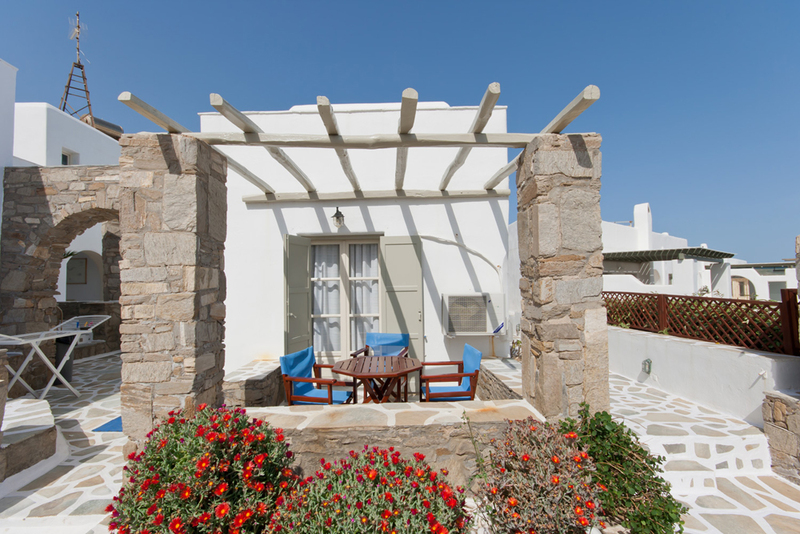 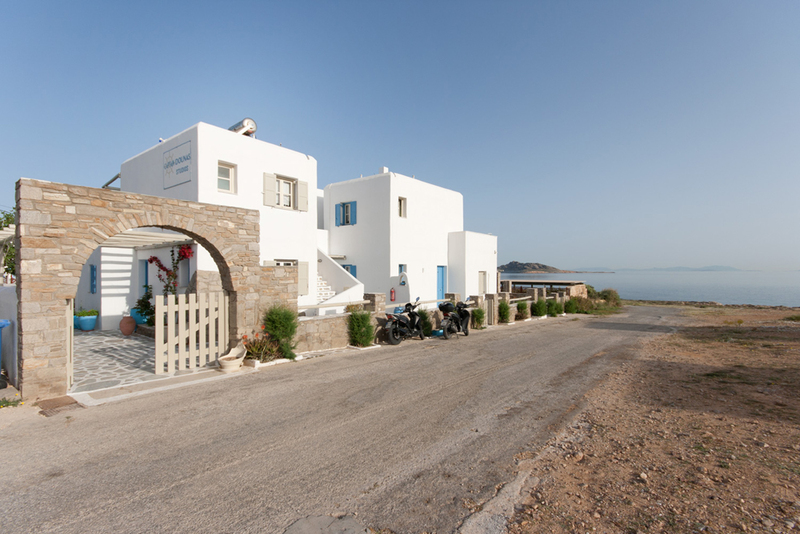 Our complex with A Category standards, built by the sea according to the standards of Cycladic architecture, it is situated approximately 500 meters (5 minutes walk) from the central square of Naoussa, offerring the tranquillity of a secluded site at a short walking distance from the center. 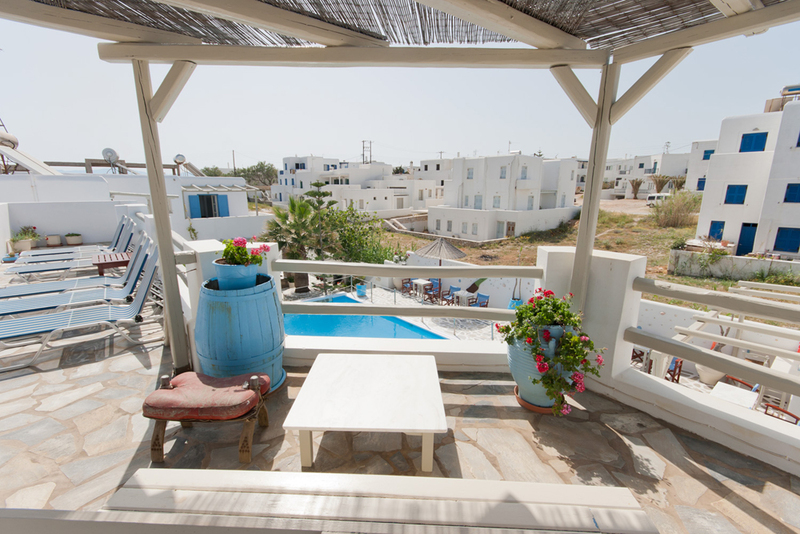 Captain Dounas offers two, three and four-bed spacious apartments, all built according to the Greek National Tourism Organization standards. 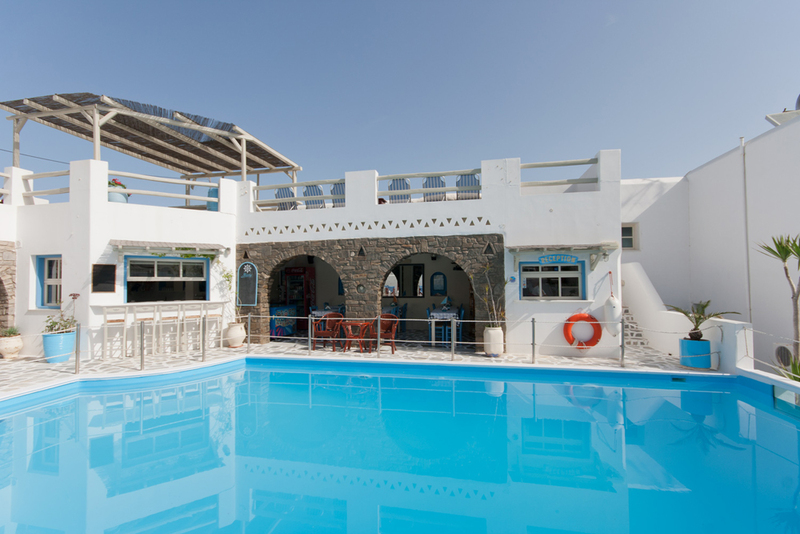 A special swimming pool with view at the interior through a glass-covered side. 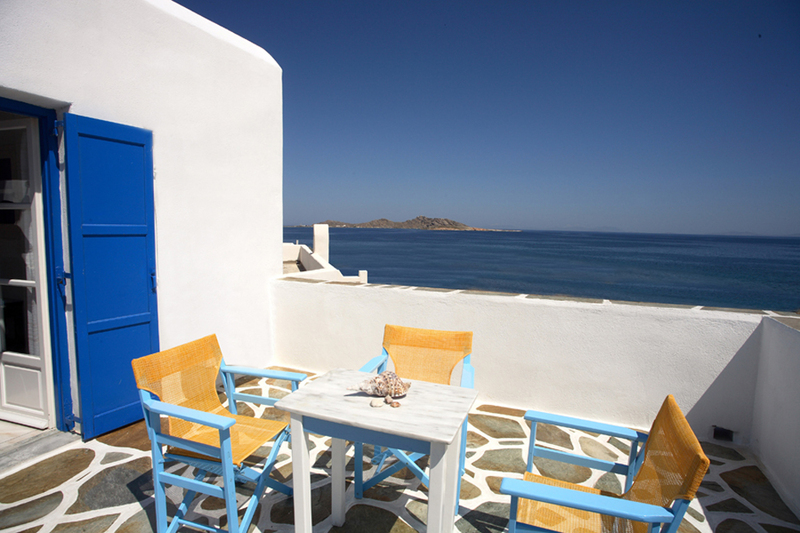 A seaview sundeck with cocktail bar breakfast room and restaurant where you can taste special homemade Greek food. 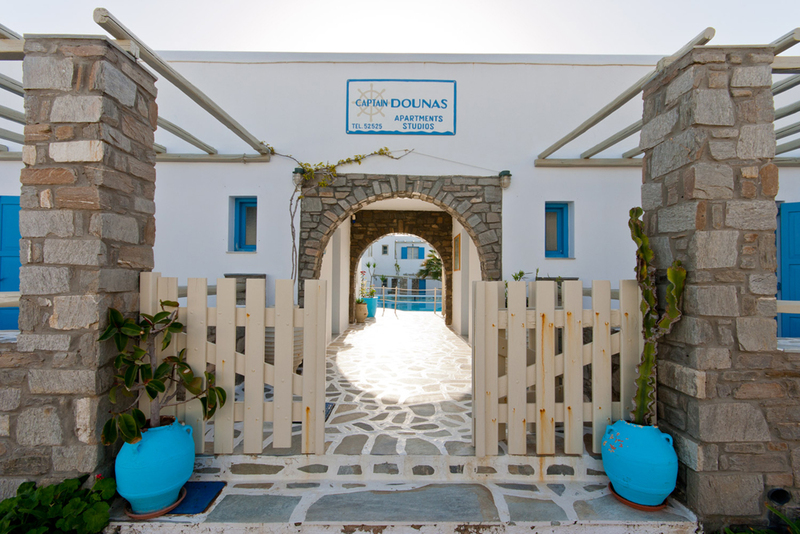 Captain Dounas apartments and studios are waiting for you to experience the family environment and first class service. 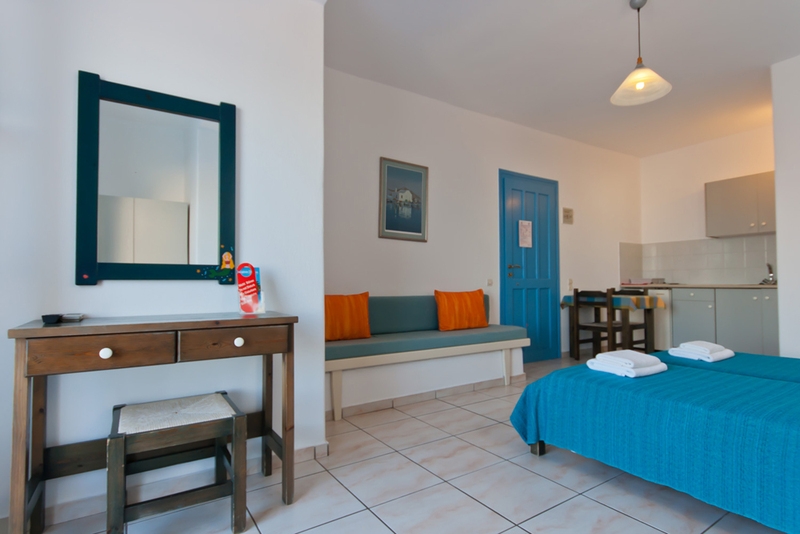 You are welcome any time of the year to enjoy the best kind of hospitality.